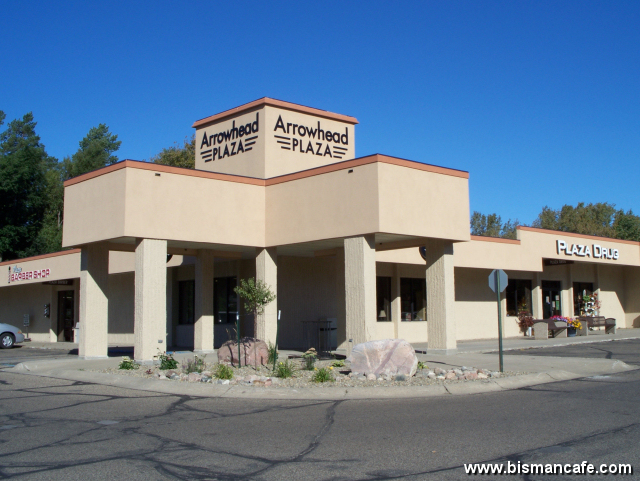 Arrowhead Plaza is a neighborhood strip mall located at 3rd Street and Boulevard Avenue. 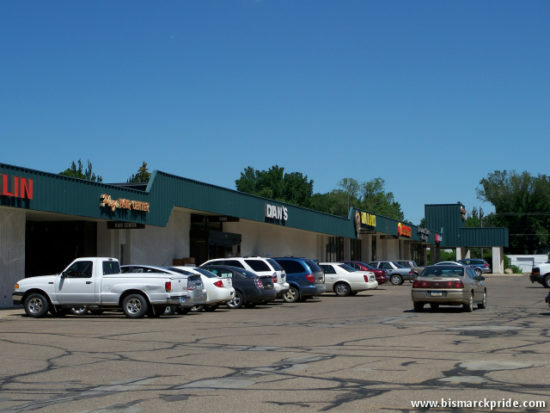 Arrowhead was Bismarck’s first shopping center and, by some counts, the first in North Dakota. Arrowhead Plaza opened in 1953 and saw a major expansion in 1960. Until 2018, it was anchored by the original “Dan’s” Supermarket. 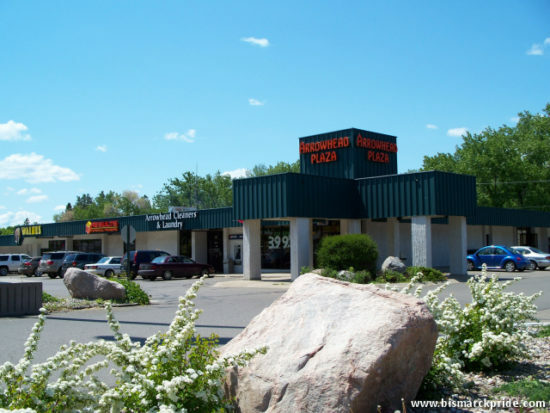 Despite its smaller footprint and relatively low-traffic location at the heart of a residential neighborhood, Arrowhead has seen limited tenant turnover throughout the years, maintaining a strong presence as a major shopping destination. Arrowhead Plaza was developed by T. Clem Casey and officially opened on November 11, 1953. 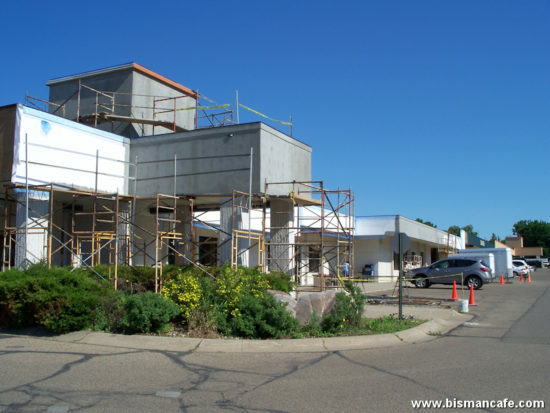 The first “Dan’s” Supervalu was an original tenant, complimenting Bismarck Supervalu in downtown Bismarck, which was founded in 1949. In 1960, Arrowhead roughly doubled in size by expanding northward to its present 60,000-square-foot footprint. 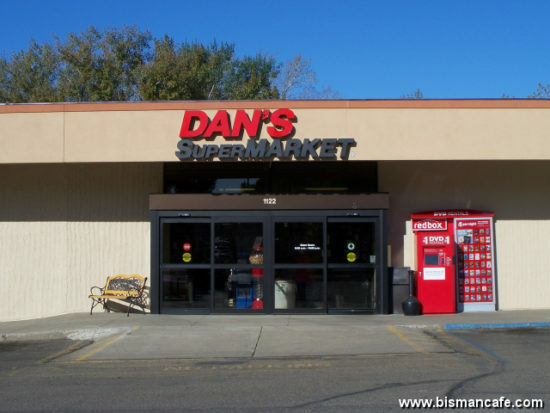 The $249,800 expansion brought with it a relocated and significantly larger Dan’s Supermarket store, at approximately 14,400 square feet, where it remained until its 2018 closure. A bank (now U.S. Bank) and hardware store (noted to later be Scheels) was also added at this time. Previously, Dan’s was located in the long-time home of Ben Franklin (1974-2007), which also housed Lee’s variety store for a time. A $300,000 exterior renovation concluded in late 1980, extending the public sidewalk and adding an overhang. The decorative “corner towers” were also implemented at this time. In 2011, the center modernized its exterior, including a new color scheming, to its present-day appearance. 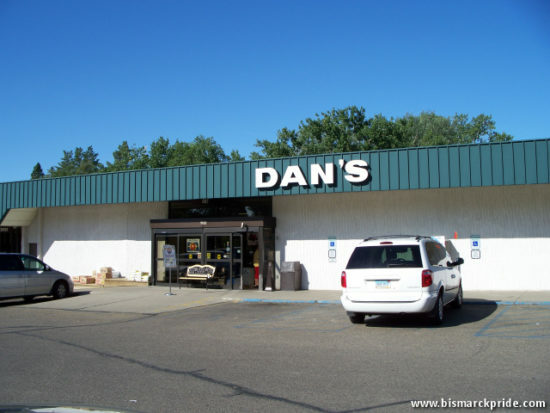 Dan’s Supermarket was an original tenant at Arrowhead Plaza, and its principle anchor until closing in 2018 after nearly 65 years. It relocated into a larger space, roughly 14,400 square feet, in 1960 with the mall’s expansion. Ben Franklin was one of the mall’s longest tenants. 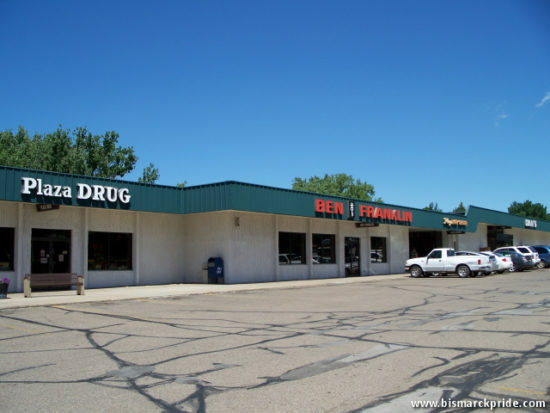 The Bismarck franchise opened in 1974 as one of the company’s variety stores before transitioning into a craft store. 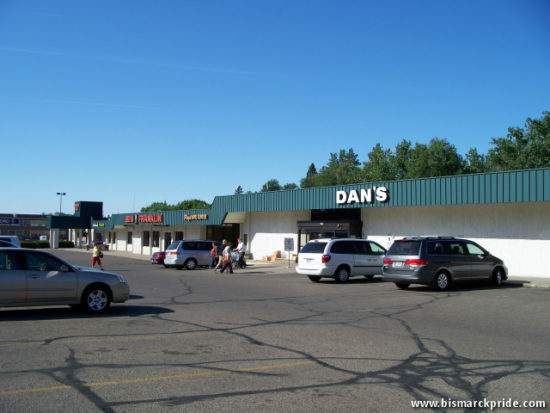 The store was located in the original Dan’s location at the mall, just to the north of present-day Plaza Drug. 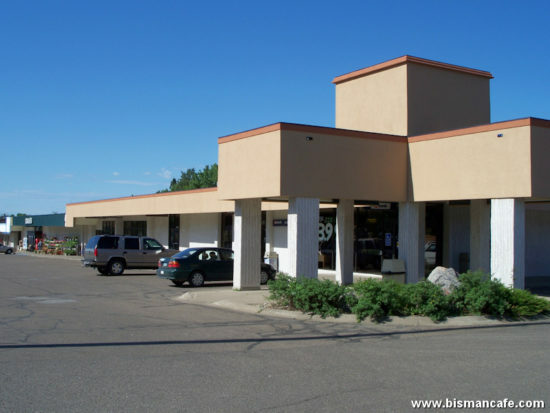 Gizzmoz was a local pizzeria, video rental, and party favor store at Arrowhead Plaza. 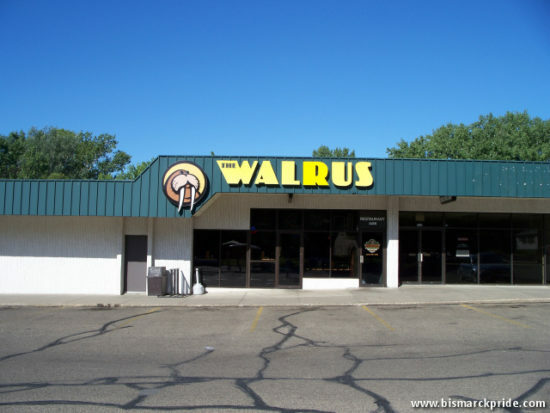 The business, which operated from 1992-1995, was owned and operated by Tim Pudwill, who also owned Plaza Beer Depot. 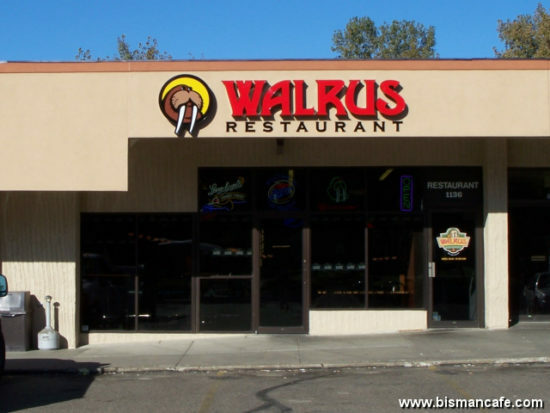 Today, this space houses The Walrus. Scheels opened a sporting goods and hardware store in or before 1970. A second Scheels – the company’s first “All Sports” – opened at Kirkwood Mall in 1984, but continued operating at Arrowhead until selling the store in 1988. The space later became home to Advantage Appliance before returning to a hardware store (as Mustang Hardware). The space was vacant as of 2017. Plaza Barbershop operated from 1955-2014. Arrowhead Tesoro was the last surviving full-service gas station when it closed in 2015. It opened in 1956. My Mother told me she won a cash prize in the naming contest for the new 1953 shopping center. 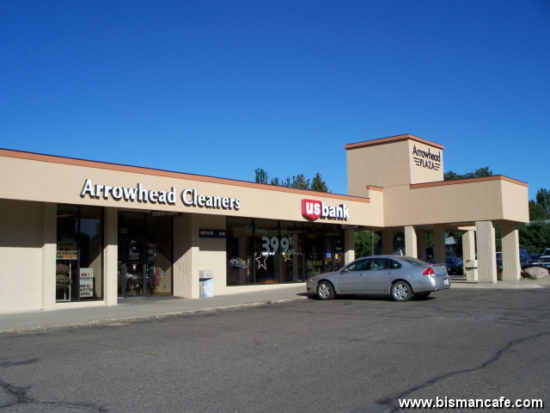 She was always proud of her submission “Arrowhead Plaza” and was upset by all the other businesses that started using the name moniker “Arrowhead”.